Ishita gets shocked! Yeh Hai Mohabbatein 25th August 2016 Episode Written Updates :- Are Adi and Aaliya to get married in the TV series Yeh Hai Mohabbatein as right now this news of the TV series making headlines? Ishita brings to Raman’s notice that Aaliya is in love and both of them thinks Aliya is in love with Adi. Ishita thinks and asks Raman to talk to Mani about Adi’s marriage with Aliya. It is actually Ishita misinterprets Aaliya’s love interest and she thinks that Aliya is in love with Adi. In the previous episode, we saw how the Bhalla’s celebrating Rakshabandhan. Shagun too joins in the festival with her brother Mihir aka Raj Singh Arora where she feels that Aliya likes Mihir. The upcoming episodes in Yeh Hai Mohabbatein we will be seeing a huge drama and confusion which will be giving you high-voltage melodrama. Ishita (Divyanka Tripathi) brings to Raman’s (Karan Patel) notice that Aaliya is in love, they thinks that Aliya is in love with Adi so they planned to speak about Aliya and Adi’s wedding to Mani. Shagun is aware of it that Aliya is in love with Mihir and she thinks to take advantage from this truth. When Aliya will be seeing that her wedding is getting fixes with Adi, she will be stunned and too surprised and eventually she will be seen confessing her love for Mihir. Shagun will be seen taking advantage of this situation by supporting Aaliya and she will be brainwashing her by saying Ishita needs to support you but her priority now is the Bhalla family. They will be getting you married with Adi as Adi likes you. Shagun will be proved Ishita bad in Aliya’s eyes as she is not giving support to her. Adi who is going to be hurt by learning the truth Aliya is in love with Mihir and she will be also annoyed to see it that Shagun is giving support to Aliya instead of her own son Adi. How will Mihir react to this? Does Mihir also love Aliya? 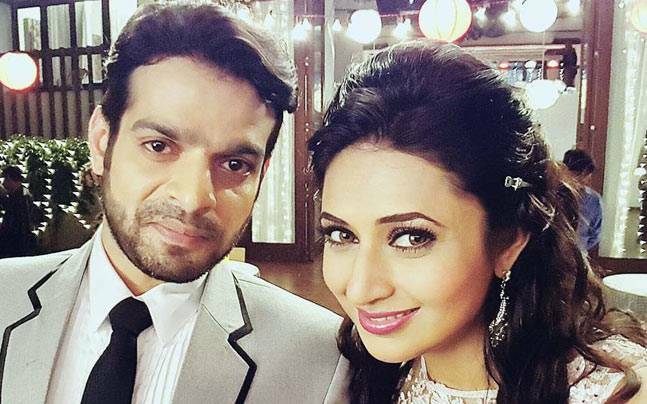 Stay tuned for more updates on the TV series Yeh Hai Mohabbatein.